and whatever picks necessary to work on the sides. This is an extreme pipe-dream. A) I don't see Dan Gilbert helping facilitate any Lebron trade, and I also doubt the Cavaliers want to take on Evan Turner for nearly $40 million the next 2 seasons. B) Clint Capella is getting paid, he has a $7 million cap hold but we all know he's going to rake in 2 to 3 times that amount. C) The Nets aren't coughing up $42 million to Anderson for the remaining 2 years of his deal simply to acquire a late 1st round pick from Houston. Like I've said in a previous post. Good. Any team just not them, thanks for answering. Lebron also verbally stated his distaste for his Clippers as well. Albeit it was during the Donald Sterling fiasco. Jerry West is obviously a huge figure and easily one of the best in terms of constructing teams and player scouting. However, the Clippers have literally just began their rebuild. I don't see why Lebron would go to a team whose best player is a 7 footer with no offensive ability beyond 2 feet of the basket. 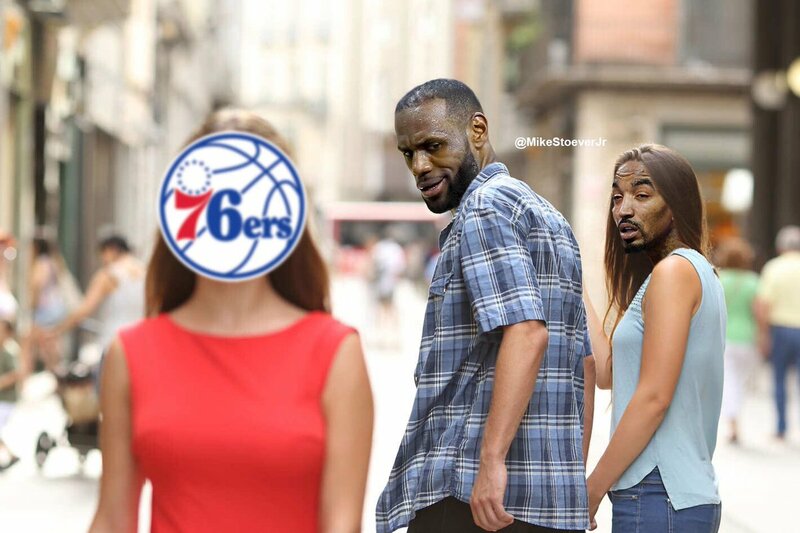 I had Philly as favorites not to long ago because I felt as though he would want to stay in the East for an easy finals route, but I really think the whole family situation, life after basketball, and the Lebron brand may actually be his #1 priority. Los Angeles not only offers him a decent team in which he can compete with given we sign George and our young guys develop, but it also likely pushes what is already an internationally known brand to an even higher level. LA may not be the best basketball decision wise, but I feel as though it is the best overall when considering all things. I've grown to realize that if there's one thing that Lebron has always enjoyed since day one, it's the attention and notoriety. Outside of a place like New York, LA is literally the next best stop. Edited by LakeShow1o1, June 10, 2018 - 03:12 PM. He's an attention whore and the media feeds his ego. People are looking at one sided things. Competing for titles or lifestyle. I think at his age he probably wants something more all encompassing and I think the lakers provide that. He can have his city and his family comfortable. He’ll be the biggest thing in Los Angeles (that’s something to not ignore) and he can compete for a title with the right moves. To me that’s clearly the best situation. If he goes to Philly what? He plays with some nice young guys, fights hard with a revamped Boston team that there’s no guarantee he beats and then if he gets past them he gets bounced by the warriors again? "Why would they do that?" squad came again. You don't have an intel on anything you said there either. if him & his ego can bring us 2 more championships before Boston gets their next one, I say feed that [expletive]!